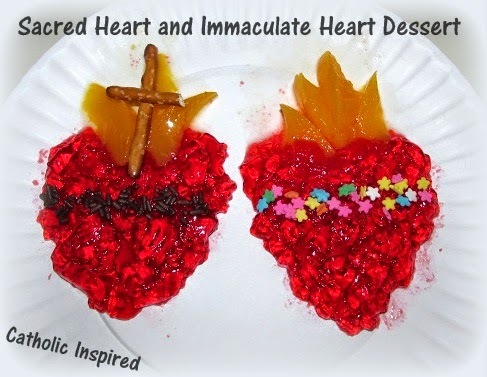 With the hot summer months now upon us in the Northeast, this cool, edible craft is just right for the feasts of the Sacred Heart and Immaculate Heart. The fun, jiggly jello and the cool, juicy peaches, are a nice mix. My kids enjoyed creating them just as much as eating them! It's a great way to satisfy your child's spiritual and snack needs. 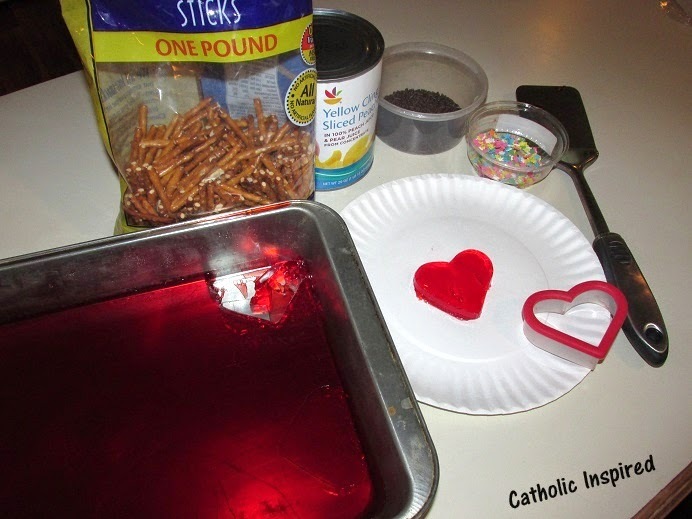 Make your jello ahead and pour the liquid into two 13x9 inch pans. Chill till it's that fun solid-jiggly texture. 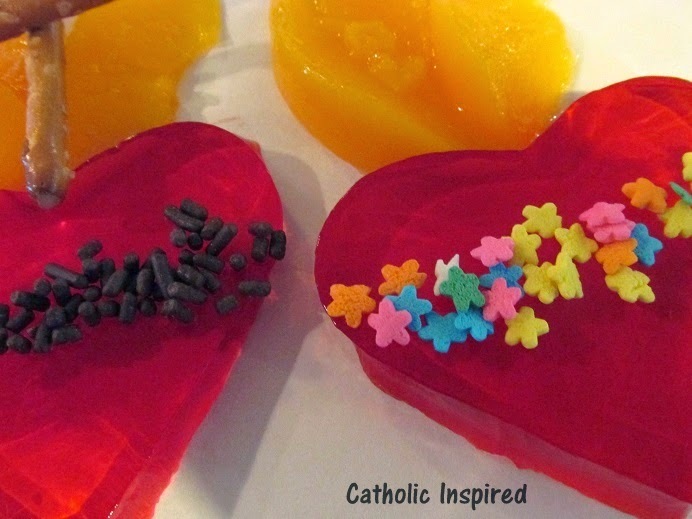 Using a heart shaped cookie cutter, cut hearts into the jello. Use the spatula/turner to gently remove the hearts from the pan and place two hearts side-by-side on a plate. (This is the hardest part.) The key is to gently tap the spatula against the plate as you slide the heart off the spatula. 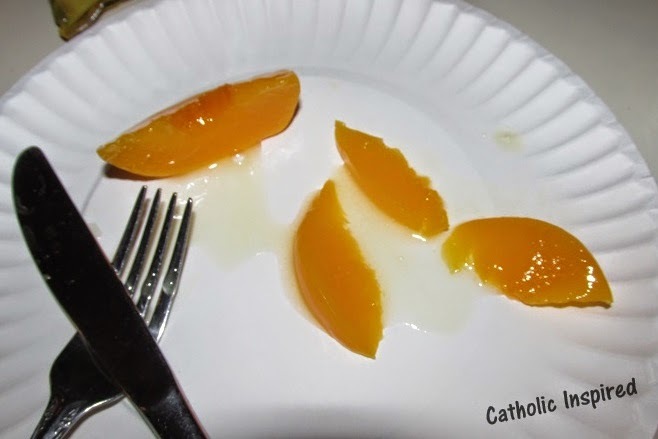 Now cut the peaches into small, thin slivers. Place them at the top of the heart. Try to make them flare out so they look like flames. I let my older kids (8 and up) help with this part. 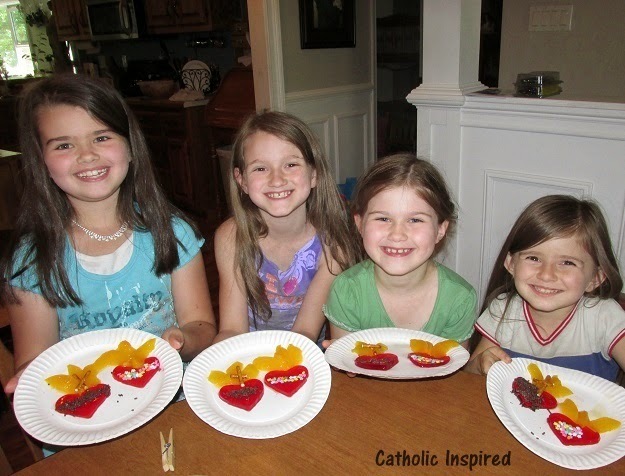 Then all the kids added their own chocolate sprinkles to one of their hearts to create a "crown of thrones" and they added flower sprinkles to the other to make the "crown of flowers". They used a whole pretzel stick and a half stick to make a cross on top of the heart with chocolate sprinkles. 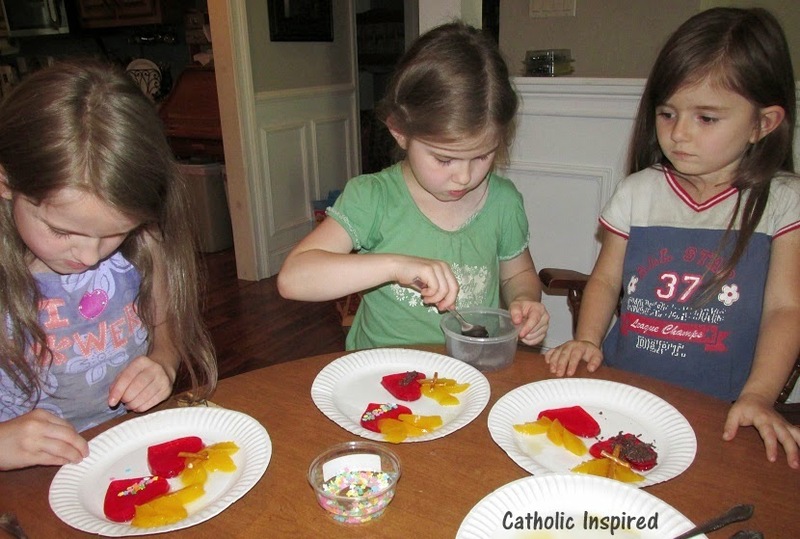 All the kids had a fun, jiggly, and giggly time creating these treats! 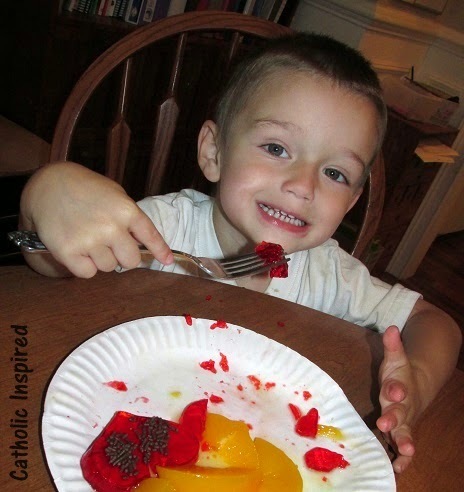 Although, Caleb thought the best part was eating the jello! Don't have a heart shaped cookie cutter? 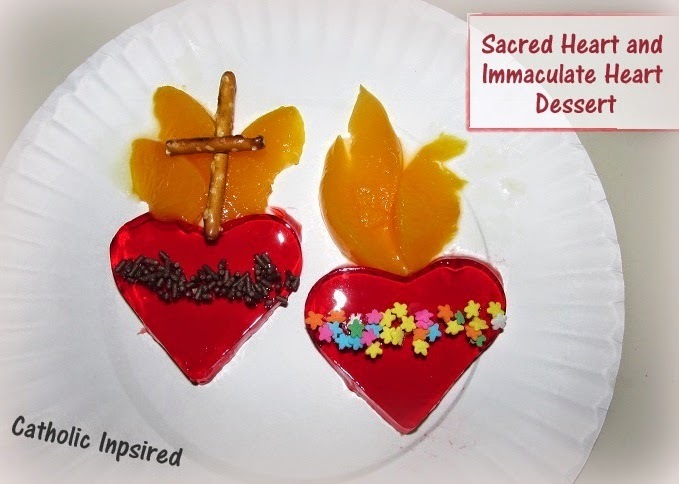 If you don't have a cookie cutter, try smashing up the jello and spoon some onto a plate to form the two hearts. It's not as clean of a look, but my girls liked the "gem" look that these have. 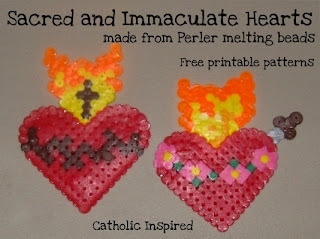 I made the ones pictured above with the leftover "scraps" of jello that were around the cookie cutter shapes. Beautiful and fun! Probably yummy too, since peaches and jell-o taste good together.